Last year, the Philippine Industry and Services sector grew at 4 and 4.6 percent respectively. 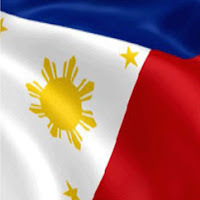 In fact, the Philippines was touted to be the second best performing economy in Asia. Credit upgrades from international rating agencies fell all over themselves in saying so. Such was that the Philippines was said to have beaten the “boom and bust” cycle that hounded it since 1986. But there were also loud calls for more inclusivity and that there was no “trickle down” effect. The Philippine Rural population accounts for 66% of the population and that explains the lack of inclusivity. This is true. The agricultural sector lost 466,000 jobs last year. It grew by a dismal 0.2 percent which is part of an entire 16 year span of an average industry growth of 1.6%. Economic number crunchers blame agriculture for dragging down Philippine economic growth figures. What happened to Philippine agriculture? It is not that Filipino farmers are lazy. It is not that our soil is not fertile. It is not that our climate is not conducive to agriculture since the Philippines is cited as one of the countries with the most forms of biodiversity. It is because of several systemic dysfunctions that have been around for most of a century when it comes to the agricultural sector. Of the favourite hobbyhorses of agricultural and economic planners from the 1960s to the 1980s have been Land Reform. It was believed that when farmers own their land, they would be more productive and thus would lift the agricultural sector. They came out with the Comprehensive Agrarian Reform Program (CARP), the supposed silver bullet to Philippine Agricultural sector woes. After almost 30 years it has proved a failure. Not because it was not done in good faith but it was not really “Comprehensive”. Comprehensive in the sense that it did not consider the economies of scale needed to make the land grants sustainable. Having to Mekong River Delta System like in Vietnam, Thailand, Cambodia and Laos, the need for natural irrigation was overlooked. Thus, a system where irrigation became and expensive farm input. The high yielding rice varieties needed fertilizers that again, the farmers had to finance out of borrowings. The susceptibility to pests were not factored in since pesticides needed additional finance. The Philippines is one of the most disaster prone countries in the world and an institutionalized crop insurance system was not established. 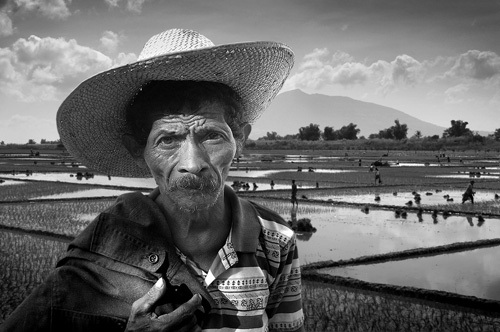 The Filipino farmer was made even poorer since he got indebted way before harvest time. This shows the need for easy access to credit to farmers. But since CARP had rules with regards to using the land as collateral, banks would naturally see farm finance as anathema, having a grim picture of the future of owning foreclosed CARP lands that when consolidated may be eligible to CARP. The Filipino farmer had to choice but go to the informal lenders with high lending rates. And thus a vicious cycle began wherein the farmer would go deeper in debt every year after the land grant. What was needed was state financial intervention wherein GFIs would fill in the financing needs of the farmers. Unfortunately, these GFIs were under pressure from the Department of Finance to remit profits to the state coffers so as to finance other state projects and programs. It was never understood that these are needed subsidies so as to stabilize the agricultural sector first and then after a few decades the subsidies would naturally decrease. Those who made policy never had the foresight and the patience to support the Filipino farmer. All the GFIs eventually went into Universal Banking since they are now profit driven. Philippine Agriculture was left to fend for itself and thus 66% of the population remains mired in poverty. The question is, why is this Invisble War being waged on those who feed us?